What a great article about Dorothy Day Place! 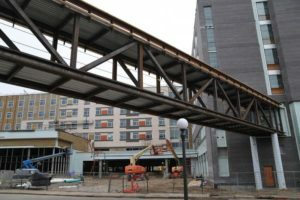 It explains the recent addition of the skyway connecting Phase 1 (Higher Ground St. Paul) to Phase 2 (St. Paul Opportunity Center and Dorothy Day Residence). The article also quotes our skilled Superintendent, Todd Osowski as he explained different parts of the project.